“You can die of dehydration in three days. Clean water is not a convenience." Komponhg Phluk, a remote village in rural Cambodia, doesn’t lack for water. It’s on a river that floods regularly, good for growing rice, the village’s main food and cash crop. But it’s not good for providing drinking water. Like many rural areas around the world that lack water and sewage treatment systems, Komponhg Phluk’s residents struggle with the consequences of not having clean drinking water. These includes the health consequences, such as diarrhea. Indeed, the United Nations’ Human Rights Office estimates that 800 children die from diarrheal diseases each day. There are also economic and environmental consequences: residents often spend hours cutting wood to boil water, time that could be spent working in the rice fields or studying in school. 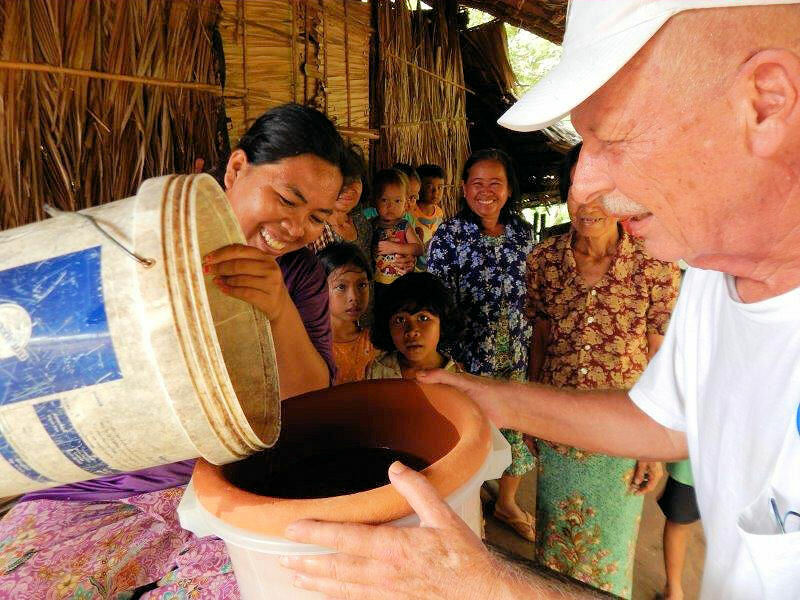 But an amazingly simple and inexpensive water filter is changing people’s lives in Komponhg Phluk and in many other parts of the world, in part thanks to the work of Children’s Food Fund/World Emergency Relief. Developed by a ceramics professor at the University of Northern Illinois, the filter is a simple ceramic pot with pores created by adding saw dust or rice husks before firing. This filters out particulates. The clay is impregnated with colloidal silver, which sterilizes the water. One filter can last a family of four 10 years. It produces a liter of water per hour. 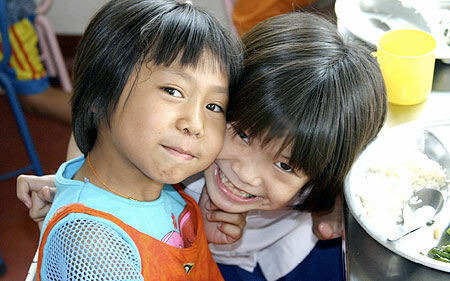 “The beauty of these filters is that there is no technology,” explains Gary Becks, a retired firefighter who lives in Cambodia and works with Children’s Food Fund (CFC #10984). He says this is a stark contrast to many well-intended projects in less developed parts of the world, which rely on much more complicated devices, such as reverse osmosis filtering systems. 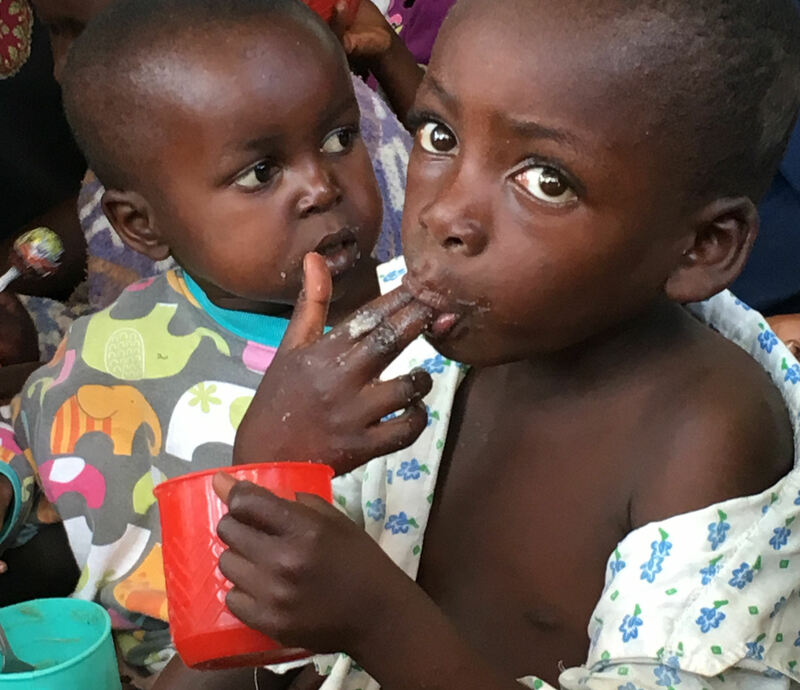 When Children’s Food Fund helps a village, it brings enough filters for every family who needs one. “The problem with a community water system is that you need someone on staff who will maintain it,” Becks said. But when the group arrives, people are often ecstatic, especially the women, Becks said. “Women and children do most of the work gathering and cutting wood for the fires to boil water. “They realize these filters mean no more diarrhea.” In these remote communities, often far from health care, Becks said diarrhea can be a death sentence. “You can die of dehydration in three days. Clean water is not a convenience. 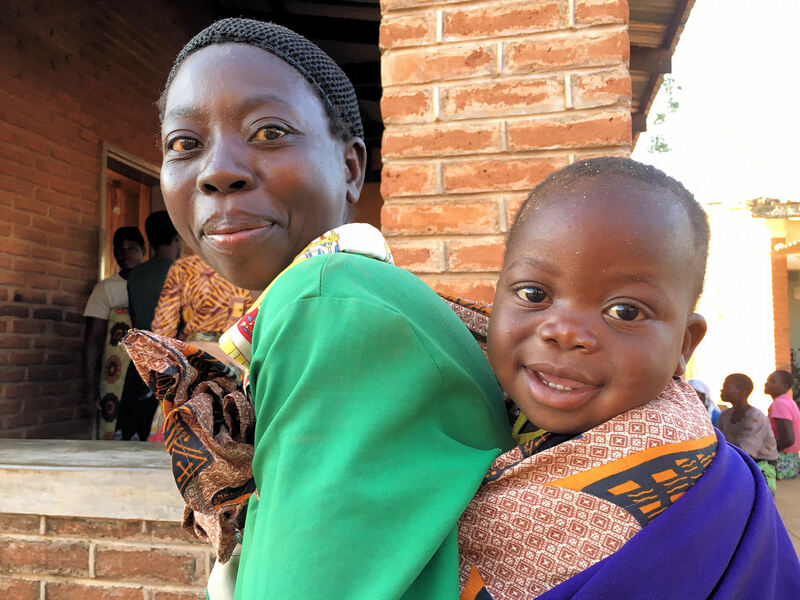 Our work in Malawi includes a drip-irrigation system for village gardens, to help build resilence..
We provide meals to an orphanage we support in Kaziba, Congo. We also work in the Philippines, responding to disasters and providing long-term support. 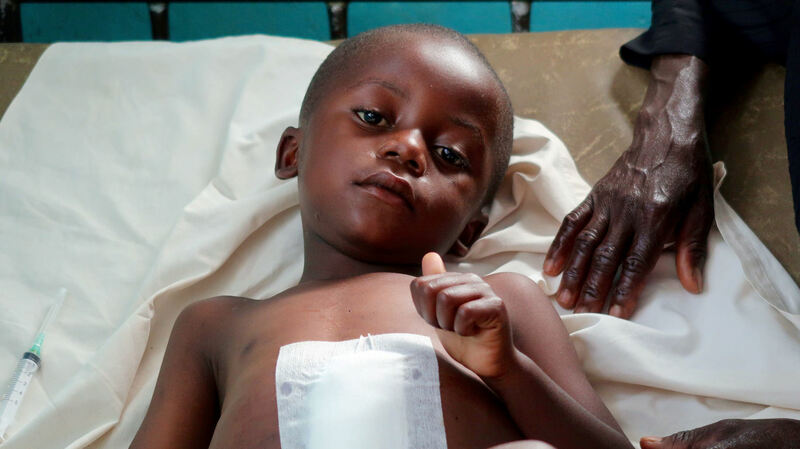 A medical mission we support in Congo performed 87 operations is just one week, including Exoce's.